Alberta’s speech from the throne, while overshadowed by Premier Notley’s election call a day later, was long on pomp, ceremony and platitudes but short on specifics, particularly on one of Alberta’s most pressing issues—the resuscitation of the oil and gas sector and the end of the Alberta oilsand land lock. Lieutenant Governor Lois Mitchell used all the right words, much as Premier Notley does. We will fight for a pipeline with a plan to build national consensus. We have fought to get pipelines built, that have been frustrated by failed federal governments. We will not give up until the Trans Mountain pipeline is built. And so on. 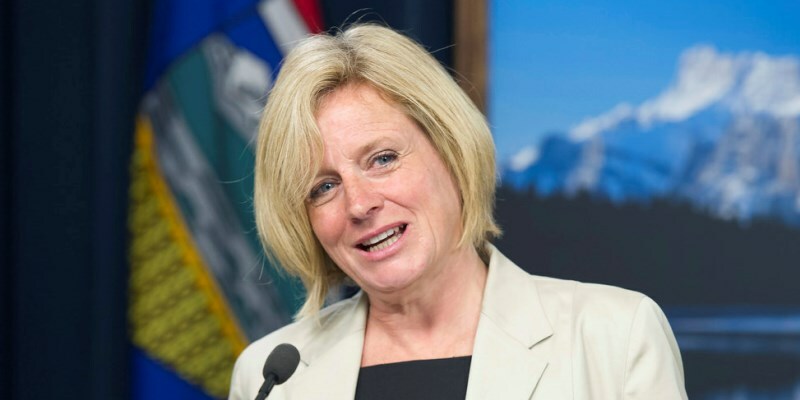 Mitchell said we must end the oil production curtailment “as soon as possible,” and touted the premier’s plan to prevent future gluts by leasing 4,400 rail cars to move Alberta oil to markets east and west. And of course, Mitchell touted “diversification” of the energy sector with more upgrading and refining in Alberta. Of course, words are fine things, but they are not deeds. And on the energy file, little mention was made of easing the regulatory burden that’s causing investment to flee the province. The endorsement of the Trans Mountain pipeline was ringing and generated applause, but no detail was offered about how we will get the pipeline build. That national consensus on pipelines that the throne speech touted stops rather abruptly at the borders of British Columbia and Quebec, which have, if anything, hardened their opposition to Alberta oil in direct proportion to how much Alberta has done to harm its economy in the name of building social consensus and social licence. And Alberta has done plenty. Expanding carbon taxes, setting a cap on carbon emissions from the oilsands, implementing carbon-emission reduction regulations, coal-power plant phase-outs, renewable energy targets and “efficiency” programs that have failed virtually everywhere they’ve been tried (including Ontario).